Fighting over the remote control with relatives used to happen a lot more before streaming services increased in popularity. Perhaps you’re too young to remember, but for many of us that are old enough to remember the “pre-streaming” days, it was a battle for the remote control. The guys usually opted for action dramas, and the women wanted to watch the rom-coms. Of course, this is a generalization, and probably just as dangerous a generalization as any other, but you get my meaning; there was usually one big television in the household – in the living room – and it was a scramble to get your preferred content displayed rather than what you didn’t want to watch. I’ve got to say – the last three days, on top of the unending stream of good news for Ripple has me thinking of the news items in terms of the number of channels on a cable station. My message is this; if you don’t like one news story, wait ten minutes; another one will be ready for you on Reddit, XRPChat, or Twitter. 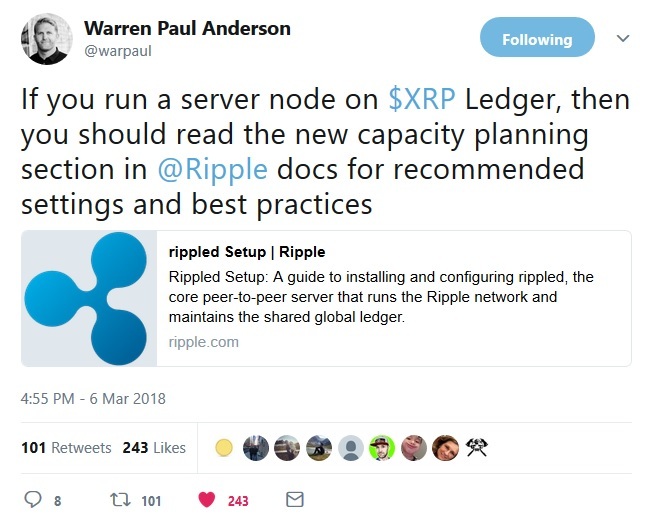 Ripple 2.0 is here, and they are not slowing down to smell the flowers. The takeover of the crypto markets is happening before our eyes. Yes, memes have been made aplenty about how resistant Bitcoin is to all sorts of negative news, regulations, and other obstructions; it kept going, recovering from innumerable flash crashes, price declines, setbacks, and lately governance dramas that ended up creating competing networks for Bitcoin Cash and other off-brand Bitcoin networks. It has survived all of those things, and in 2017 it looked like Bitcoin would easily break the $20,000 barrier on its way to a higher price point. So what happened in 2018? Is there resistance in the traditional finance markets that Bitcoin consistently has trouble overcoming? Yes: Bitcoin futures on Wall Street. It seems that now that institutional money has gotten into the mix, many traditional investors are betting against the original crypto network. While I don’t understand fully all of the machinations behind this new derivatives market, it’s apparent what the effect on the price of Bitcoin has been as well as the cooling effect it's had on the entire market. 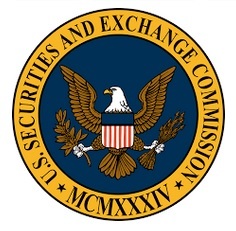 It shouldn’t come as a surprise that the US Securities and Exchange Commission has now stepped up enforcement; until recently, the SEC has focused on those digital assets and projects that mimic securities trading, such as ICOs. Even those announcements and comments were met with skepticism and negativity within crypto, and the market took a step backward when the stories broke. Continuing with that trend, on Wednesday March 7th, the SEC issued a statement indicating that crypto trading platforms should register with the agency as exchanges. The possible issue with this statement is that it depends on which coins that the exchange lists. Which digital assets are considered securities by the SEC? I have never seen any comprehensive list, and most likely exchanges that think they can get around registration by restricting their coin listing are playing a dangerous game. I predict that all exchanges will fall under this umbrella in the eyes of the SEC. Regardless of the outcome for exchanges, the overall crypto market doesn’t like uncertainty and has reacted as expected, dropping by double-digit numbers. The worst part about the sale of the bankruptcy proceeds? Kobayashi is still in possession of approximately 166,344 Bitcoins, and he stated that he will consult with the court to determine details of a subsequent sale of BTC and BCC. “We are investigating reports of some users having issues with their funds. Our team is aware and investigating the issue as we speak. As of this moment, the only confirmed victims have registered API keys (to use with trading bots or otherwise). There is no evidence of the Binance platform being compromised. Please remain patient and we will provide an update as quickly as possible. Edit: Withdrawals are temporarily disabled at this time. This news piled on top of the SEC announcement and the bankruptcy sale combined to create a triple-whammy effect on Bitcoin prices, dragging the entire market down with it. As much as I try to stay immune from the price behavior of my favorite crypto, I have to agree with those that observe that XRP’s fortunes have not completely detached from the fate of the oldest cryptocurrency. Bitcoin’s price behavior is still connected to the behavior and pricing of the other cryptocurrencies in the market, despite what we’d like to believe. Is XRP as closely tied to Bitcoin? No. The recent divergences of XRP from the overall market are now legend – all you have to do is look at the historical XRP price charts from mid-2017 until now and you will see many occasions where XRP train passengers have waved to the onlookers still on the platform as it rode away to new highs. Despite these exceptions, the rule still seems to be that the overall market is negatively impacted when Bitcoin is negatively impacted. 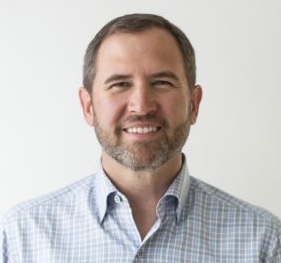 I’d be lying if I said I felt no sense of schadenfreude in knowing that XRP will be the first digital asset to disconnect its price performance from that of Bitcoin; it’s been a long road for Ripple and XRP, and the Ripple team has methodically kept their performance at the highest levels through thick and thin in the last five years, keeping focused on providing results for their banking customers. I don’t know where the crypto market is heading in the next few days; but in my opinion if you own XRP you have minimized your risk as much as possible in the crypto market. XRP’s use case is massive – it provides a bridge currency for cross-border payments, and recently it’s begun to delve into other markets as well. "Amazon started as a bookseller. They built a model around selling books. And then they said we’re going to do electronics. I think the same thing applies here. If we’re going to have a chance at the 10-year vision, we’ve gotta make sure the 10-month vision takes hold first." Keep in mind that Brad Garlinghouse made this statement in April of 2015; This quote telegraphed his high-level plan to diversify at some point after Ripple was assured of capturing the payments market. The first JBC members go live with the application in autumn of 2018; these members include SBI Net Sumishin Bank, Suruga Bank and Resona Bank. For me, the most startling aspect of this announcement was the fact that the application will be handling domestic payments, not cross-border payments! 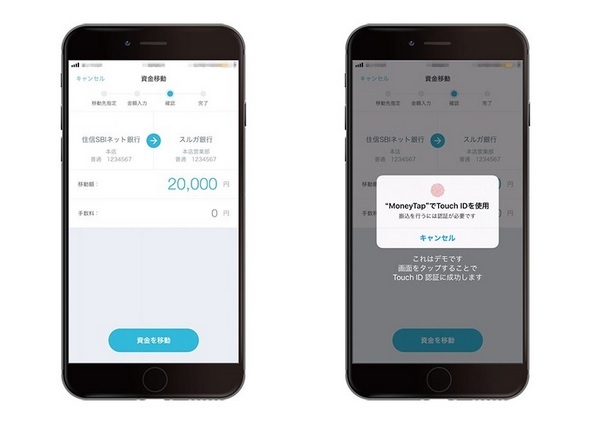 While SBI has always been consistent in its message that Ripple technology can handle domestic payments just as naturally as cross-border payments, this is the first time we’ve actually seen an application targeting domestic payments. Even the application built by Santander did not specifically target domestic payments (although there’s no limitation to using it for domestic payments as well). “Money Tap can remit inter-user remittance 24 hours a day, 365 days in real time and can send money by reading the phone number and QR code in addition to the bank account number. The launch is scheduled for the summer or later, and …. SBI Net Bank, Suruga Bank, Resona Bank will …. (go first). The remittance fee is said to be lower than the current price, but each row determines the actual usage fee. In my last blog, I fell into the trap of trying to cover all of the news items that might potentially affect XRP price. While I made a good faith effort in trying to cover it all, I realized too late that at this point Ripple and XRP have grown up. No longer is it possible to cover all news items for a three-day period! While on the one hand it’s good to see that Ripple 2.0 has grown into a large organization, on the other hand it’s tough to try and access all pertinent information that may have had an effect on Ripple’s progress, XRP adoption, or any combination of those two. But it doesn’t stop me from trying! In the last three days, we’ve seen further progress when it comes to exchanges, mainstream funds getting into the mix for crypto, and some intriguing business connections. While Grayscale Investments published plans 8 to add XRP to their multi-crypto investment fund in early February, on Tuesday, March 6th, Grayscale announced that a new fund targeting only XRP had been added to their list of funds.9 This was an exciting development, as it gives investors a choice to put some of their money into a fund that focuses solely on what I consider to be the market leader in digital assets used for settlement. If you don’t live in Asia, you probably don’t know what Grab is. Grab is a simple concept; it’s a taxi-booking mobile application. 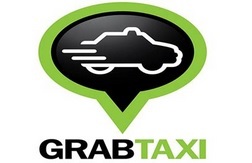 It has since evolved somewhat, and now includes GrabCar (private cars), GrabBike (motorcycle taxis), and others. It also has an in-application messaging tool to communicate between users and drivers. Grab is big – very big. It boasts two million drivers, and its application has been downloaded 69 million times. This description reminded me of the mobile payment application that the banking consortium is building. Will this lead to a wallet designed for storing XRP? Time will tell. The latest organization to add XRP is not a traditional exchange, but its impact might extend beyond that of a traditional exchange. “Bitit surpasses the Coinbase ease-of-purchase functionality. Although Coinbase, an American exchange headquartered in San Francisco, has become famous for their capability of allowing cryptocurrency purchases by credit card, Coinbase users must purchase cryptocurrency from the exchange itself. The same developer responsible for creating the XRP Tip Bot is planning on releasing a new wallet called Kyte in the near future. The functions available through Kyte are extensive, and the wallet is available in a desktop or mobile version. It also has many offline tools as well. @WietseWind (Twitter handle) is the developer responsible for developing the Kyte wallet. 2 (the pool) for almost everyone wanting redundancy and combining fast rippled connections with full history connections, etc." We’re not stuck in the pre-streaming era any more. 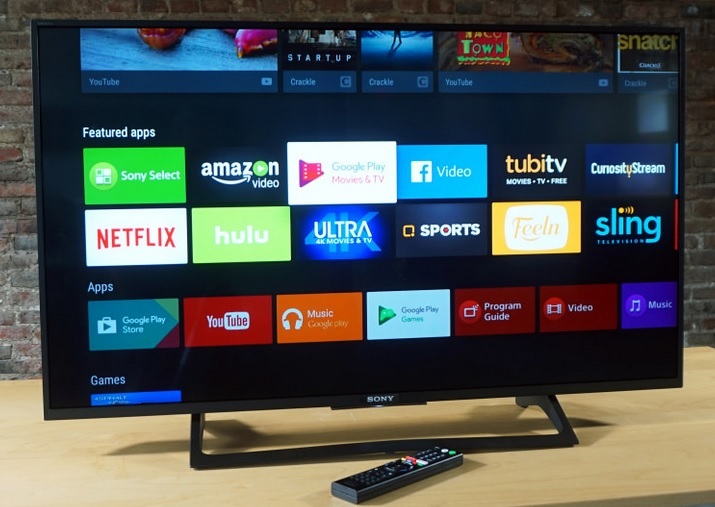 If there are many television shows that you really want to watch, and they’re being broadcast at the same time, there’s no need to fight over the remote control. Use TIVO. Use Netflix or Roku. Just like television shows, the news for Ripple is being broadcast nonstop on all channels with a wide variety of news stories and information. Did I cover everything in the last three days? Not even close. But you’ll have to visit one of the many sources of valuable information about Ripple and XRP yourself to find out more; while you’re there, introduce yourself and make some contacts among the XRP community and get to know some of these other heroes in the space – I’m amazed at the level of talent lurking quietly on these forums. Collectively, let’s focus on supporting XRP adoption by the same organizations Ripple is aiming for – banks and financial institutions – to capitalize on the largest use case for XRP; but let’s also remember to have fun along the way. There’s a lot of channels on any given day – odds are good that you will find something that inspires you.